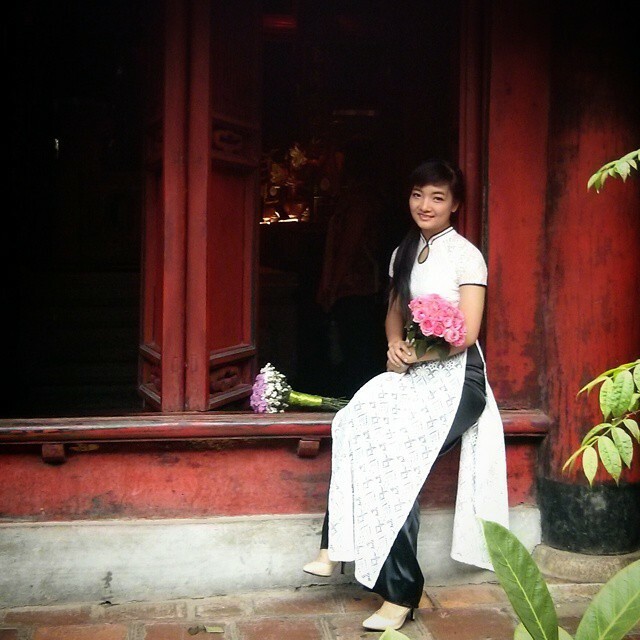 The first time I went to Hanoi was in 2010. It was the last stop in my 10-day trip in Vietnam, and after going from Ho Chi Minh, Hoi An, and Hue, I’m ready to just take it easy. Fortunately (or unfortunately), Toy Story 3 just came out, so instead of sightseeing as all the travelers are doing, I did what the locals do on a Saturday afternoon: I watched a movie. 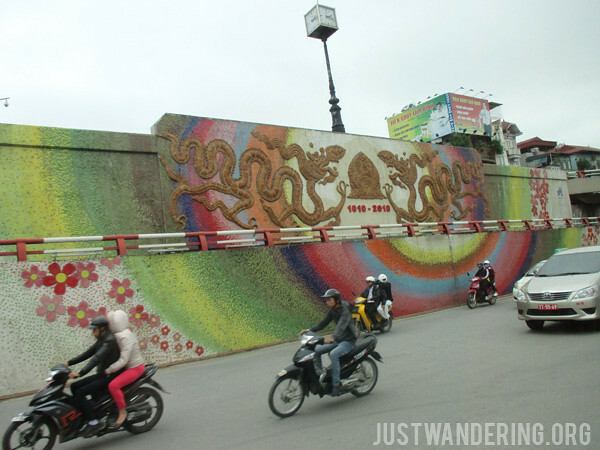 Apart from that and my day trip to Halong Bay, I did nothing else in Hanoi. That’s why when I got the invite from Cebu Pacific to visit Hanoi, I jumped on the chance to really see what Hanoi has to offer. Cebu Pacific flies to Hanoi three times a week from Manila. The flight arrives in Hanoi just past midnight, and flies back at 1 am, giving tourists an entire day to explore the city after and before their flight. Perfect for a weekend getaway. It’s rather gray in November, but it’s a bit nippy and I love that. Located in the northern regions of Vietnam, Hanoi has four seasons in a year, unlike in Ho Chi Minh. 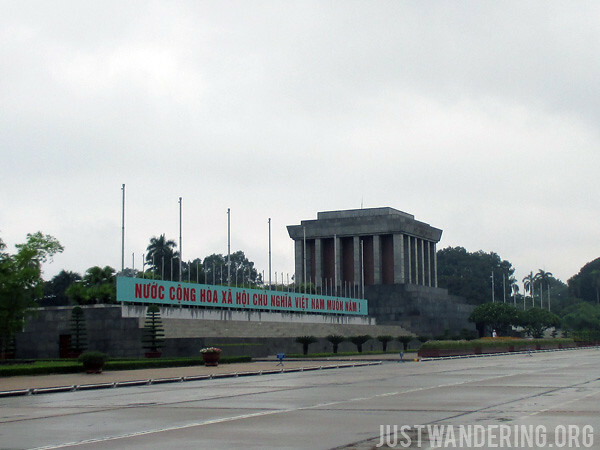 It was June when I first went to Vietnam, and the weather was hot and humid, not the perfect combination when traveling (for me, anyway). So when we went there last November, I was ecstatic, because it meant Autumn weather! It was in the low 20°C during the day, and dips down to around 15-18°C in the evening. That is bliss. That’s Hanoi traffic for you. When I travel, I like walking around to get to know a city. 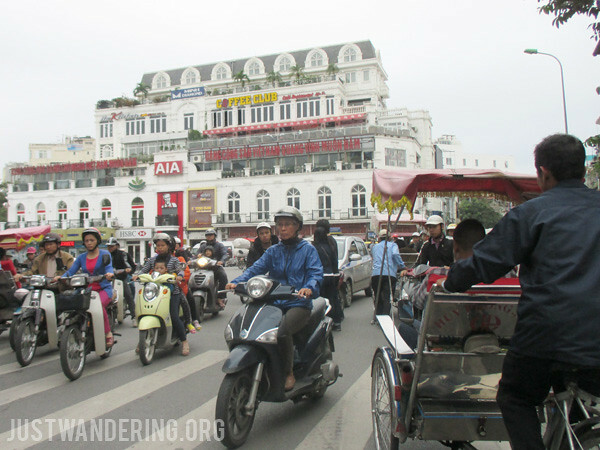 I remember my frustration in 2010, when walking in Hanoi’s Old Quarter meant dodging motorbikes and squeezing through narrow sidewalks. I found out that the best way to get an overview of the city and and have a literal front row seat to the crazy Vietnamese traffic is to ride the cyclo. These are one-person rickshaws where the drivers are seated right behind you, and you have a wide view of oncoming traffic. It’s scary at times, but it really is a fun way to familiarize yourself with the Old Quarter. We went around the usual attractions of Hanoi — Ho Chi Minh’s Mausoleum, the One Pillar Pagoda, the Water Puppet Show — but the one place that really stood out to me is the Temple of Literature. Built in 1070 as a temple of Confucius, and played host to the first national university in the country. In November, it’s where graduating students flock in their finest ao dai and suits, and have their graduation photos taken. Though I’m not fond of crowds, seeing and feeling the excitement of the students was enough to propel me to join the crowds heading into the inner courtyards. Also, the place is big enough that there are pockets of empty space if you want to take breather and people watch like a creeper. 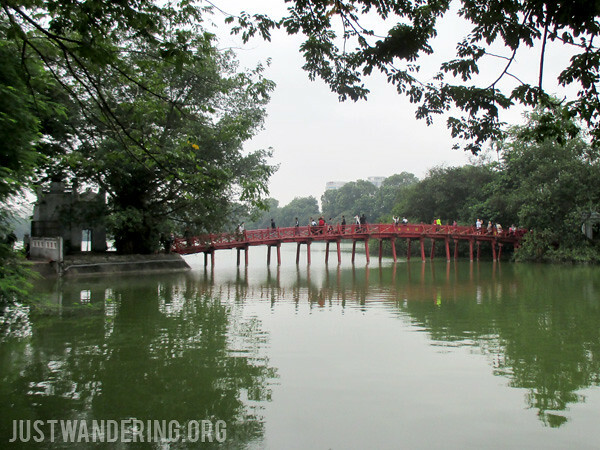 In the Old Quarter lies the Hoan Kiem Lake, which has the Turtle Tower in a small island, and the red Huc Bridge that connects Jade Island where the Temple of the Jade Mountain is. It’s a popular place for the locals to hang out in, and a very lovely place to take photos, or just to relax if the chaos is starting to get to you. Vietnam has some pretty great coffee places, but if you’re looking for something different, try the egg coffee at Cafe Pho Co on Hang Gai street in the Old Quarter. It’s a very creamy and foamy drink, which pairs well with the strong espresso it’s served with. 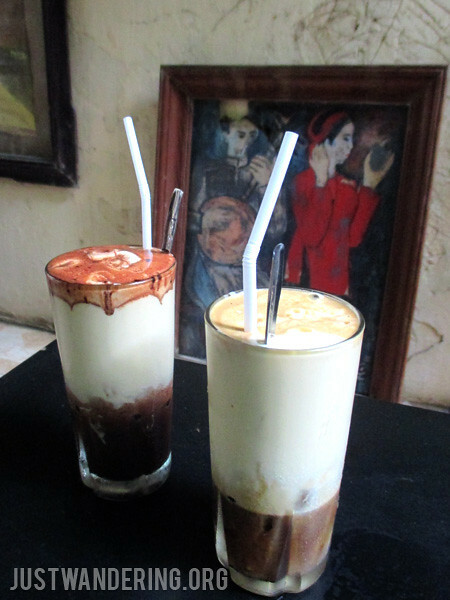 For non-coffee drinkers, there’s also a hot (or cold) chocolate version, and fresh fruit shakes. Apart from the coffee, part of the appeal, I think, of Cafe Pho Co is its location and premises. It’s tucked inside a building, so you’ll have to enter through a very narrow and a bit dark lane to enter. You’ll come into a small courtyard where you’ll have to give and pay for your order. Afterwards, you’ll make your way up to their three dining areas. The most popular is the one at the very top, where you have a very nice view of the lake. 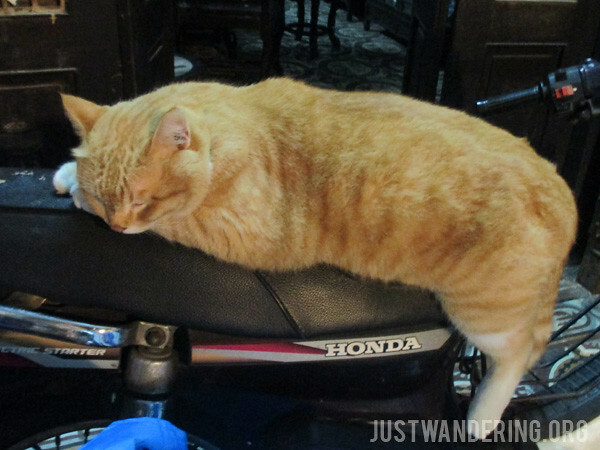 Also, if you’re lucky, the family cat will be there (though he’ll probably ignore all your attempts at friendship). 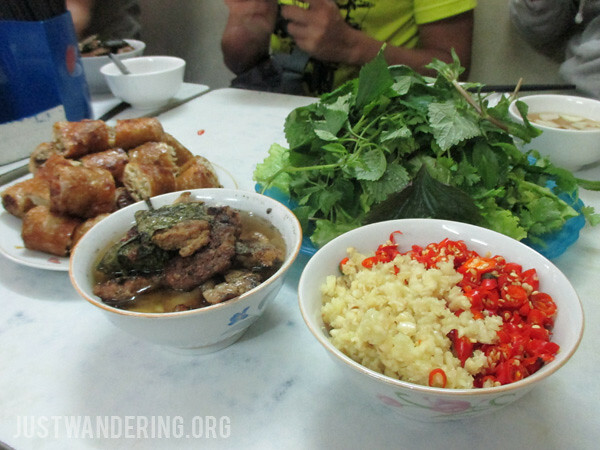 A trip to Vietnam, of course, meant eating lots of their delicious cuisine. 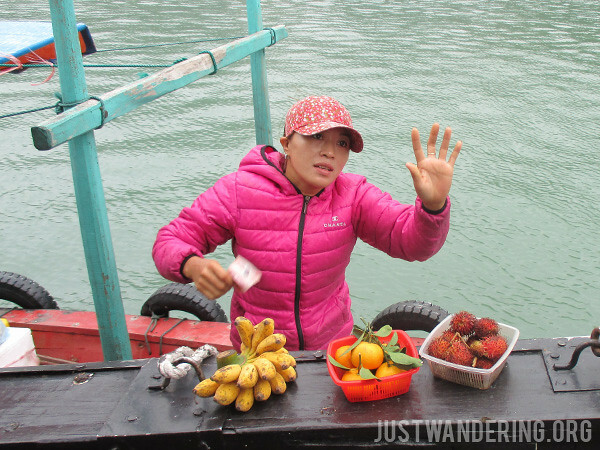 There are ladies walking around peddling snacks, or you can grab a quick bite from the many street-side stalls. My favorites for this trip though, was the custom pho station at the Crown Plaza West Hanoi Hotel, where you get to pick what goes into your bowl. Their breakfast buffet spread is pretty extensive, so you can probably assemble your own banh mi as well. Don’t look at them as vegetables — they’re yummy herbs that will give your tongue the best flavor explosion. If you’re ready to venture beyond pho and banh mi, go for bun cha. 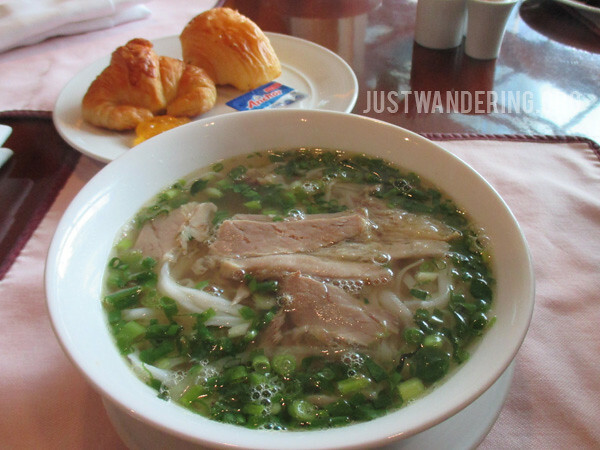 This is a noodle dish served with grilled pork, spring rolls, pickled vegetables and mounds of herbs. It’s glorious. The one we went to was Nha Hang Dac Kim Bun Cha in Hang Manh road. When I took the day trip to Halong Bay from Hanoi in 2010, the tour bus picked me up from my guesthouse in the Old Quarter at around 8 in the morning, and had me back in the city by 6pm. 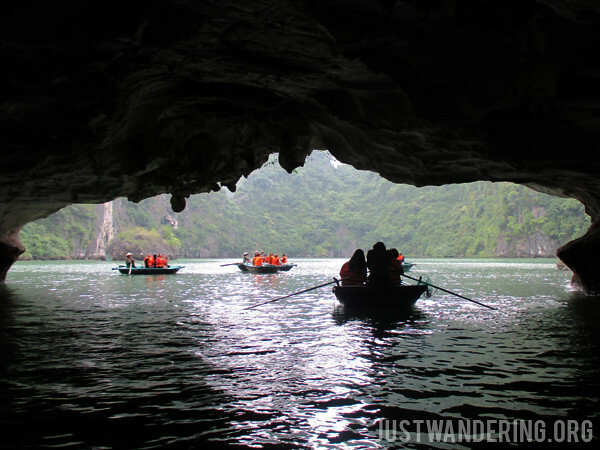 A lot of tourists do this same tour, so expect Halong to be crowded when you get there. Hanoi Red Tours, our tour operator during our visit, had us driving to Ha Long in the afternoon. It’s a 3-hour bus ride, and we arrived just in time for dinner. We stayed in a hotel with a view of the bridge, and set off early for Halong Bay. The great thing about this, is that even if there are other tours doing the same thing, it’s still not as crowded than if you arrive later. By the time you dock back in the port, the groups from Hanoi are just arriving. 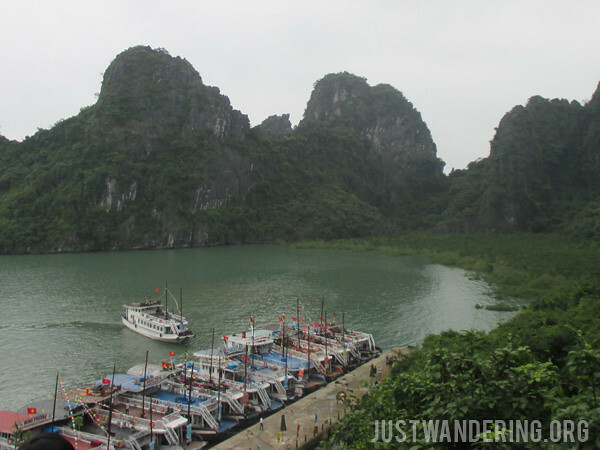 This trip is similar to the one I took back in 2010, but with one big difference: we boarded a smaller paddle boat that took us to see the lagoons hidden in the karst formations. It’s really nice and relaxing. Other tours offer kayaking trips, but I like this one better since there’s somebody else doing the paddling. Right before we left, we dropped by the Flamingo Dai Lai Resort. It’s about an hour from Hanoi and about 30 minutes from the airport. 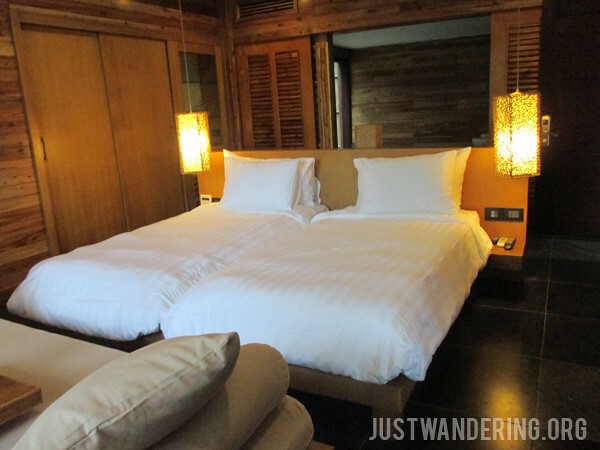 It’s a sprawling estate in the Vinh Phuc province and offers serenity in nature and luxurious accommodations. 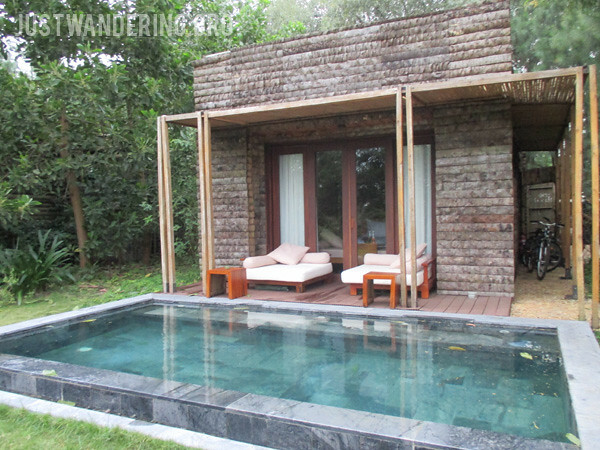 The cabins come with their own private dipping pool, and a humongous tub carved out of stone. It was too cold for a dip in the pool, but a hot soak in the tub is just perfect. There was even a cabin with the tub outside, so you can just image how fantastic that’d be in the colder months. There’s also a couple of bikes in the cabin, should you wish to explore the resort (or even to just go to the restaurant). If you can’t ride a bike, you’d need to call the front desk to request for a shuttle to take you around. Imagine it’s winter, and you’re soaking in hot water in this tub. Hmmmmmmmm. This is the kind of place that once you enter, you don’t want to go out anymore. 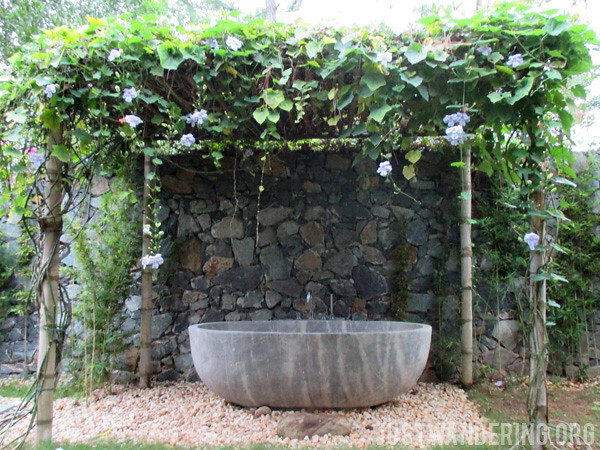 There are outdoor activities available, and a spa for those who just want to take it slow. It’s certainly a beautiful end to our trip to Hanoi. Thank you so much for giving me the opportunity to fully appreciate Hanoi, Cebu Pacific! 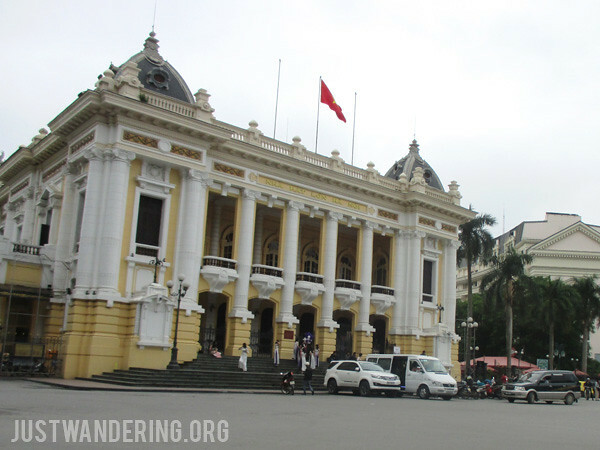 Hanoi is one of the major cities in Vietnam. 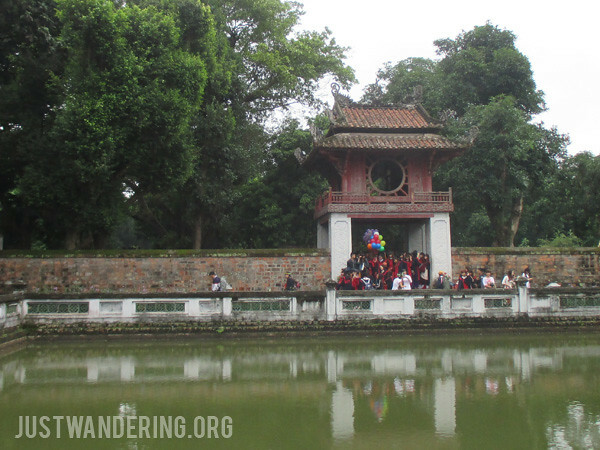 Sightseeing in Hanoi is one of the things you should include in your travel bucket list. I loved Hanoi the first time I was there that I considered the joking offer of our hostel owner for me to stay and be their receptionist haha. I found it to be a really charming place that I’d love to visit again. That resort looks so cozy! 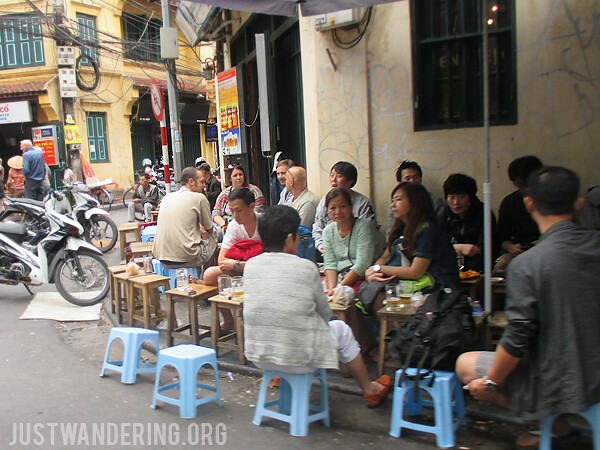 Is it just me or are there more people visiting Hanoi this year? It seems that people are raving about Japan but it seems like there are a lot of posts about Hanoi too.